Sharon Osbourne showed her support for estranged husband Ozzy Osbourne on Thursday. 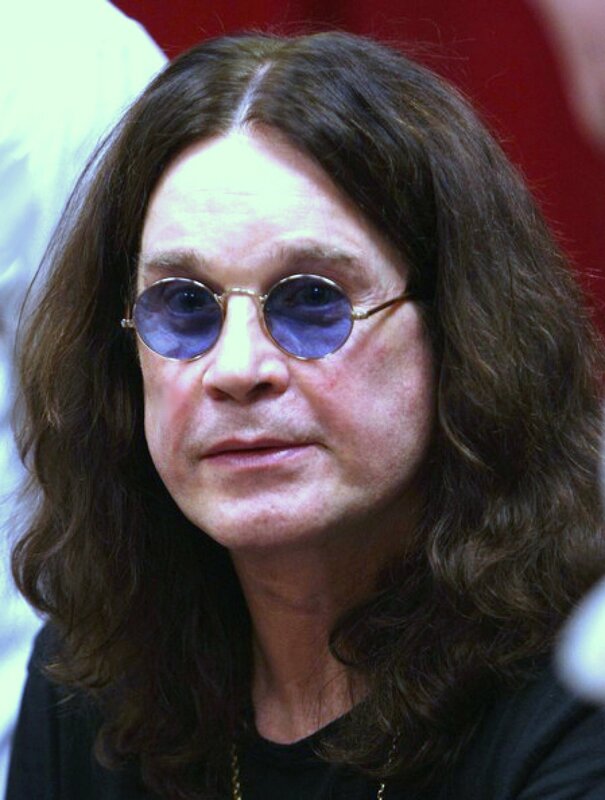 The 63-year-old British television personality, who also acts as Ozzy's manager, attended a press conference with the 67-year-old singer at the Hollywood Palladium in Los Angeles. Osbourne introduced Ozzy at the event, where the Black Sabbath frontman announced the merge of Ozzfest and Knotfest. The press conference marked the pair's first public appearance since news of their split broke this week. "It's business. This is my business, you know? This is what I do," "The Talk" host explained to "Entertainment Tonight." "People have forgotten, because they see me every day on the chat show, but this is still the other half of my life." "It's what I've done my whole life. So, it's a huge part of who I am, you know," she elaborated. "We've been working together since, my lord, since '76. That's how long we've been working together. Before we were married." Ozzy had nothing but good things to say about his longtime partner and "right arm." The singer also spoke to E! News at the event, saying he hopes Osbourne will continue to manage his career and that she's still "the boss." Osbourne opened up about her split from Ozzy on Tuesday's episode of "The Talk" after missing Monday's show. The television personality admitted she doesn't know if she and the singer will divorce, saying she needs "time to think." "I have no idea what I am going to be doing for the rest of my life," she confessed. "I don't know where I am going, who I'm going with and I just need time to think and really think about myself and what I really want for the rest of my life." Osbourne and Ozzy married in 1982 and share three children, 32-year-old daughter Aimee, 31-year-old daughter Kelly and 30-year-old son Jack. Kelly joined her parents at the press conference.